Automatic Electric Gate Accessories, what you need to know. Remotes, Keypads, Intercoms, Swipe Cards, Electric Locks, Safety Beams,Push buttons, In Ground safety loops, In Ground exit or entry loops, Key switches, Solar Panels. What level of safety does my Automatic Electric gate require? All Automatic Electric gates will require there own individual levels of safety depending on Location & Site specifics. Generally for a standard domestic installation you would be looking at starting with a basic level of safety, which provides you with a set of safety beams sending an infrared beam from onside of the driveway to the other, as demonstrated in the image below. 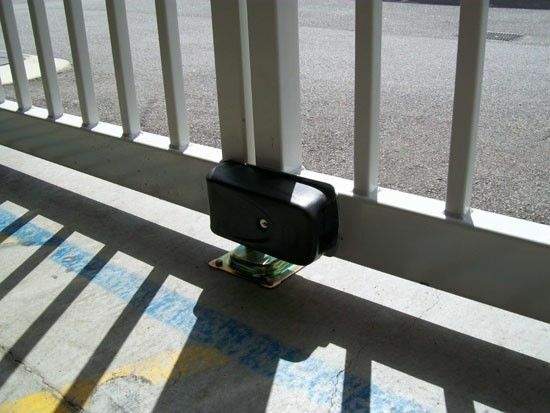 Set of Infrared Safety beams preventing the Gate from closing on a vehicle or obstruction. However if your Electric Automatic gate installation is in a commercial or industrial location, where larger vehicles are in operation and OHS requirements must be met, then implementing additional safety measures including infrared beams should be carried out such as in ground safety Loops, see image below. The Safety loop is an additional safety measure which allows metal objects to be detected when they are positioned over the top of the loop. Sending a signal to the control board telling the motor not operate until all is clear. What level of security do i need or want added to my Automatic Electric Gate? When it comes to securing your home or business, you shouldn't take any chances. You may think you’ve done everything necessary to protect your belongings but how secure is the property really? Adding a Automatic Electric gate to the frontage of your property is the first step in creating a more secure property. But where do you go from there? Automatic Electric gates can help disinterest criminals and unwanted quests from entering or attempting to enter the property. 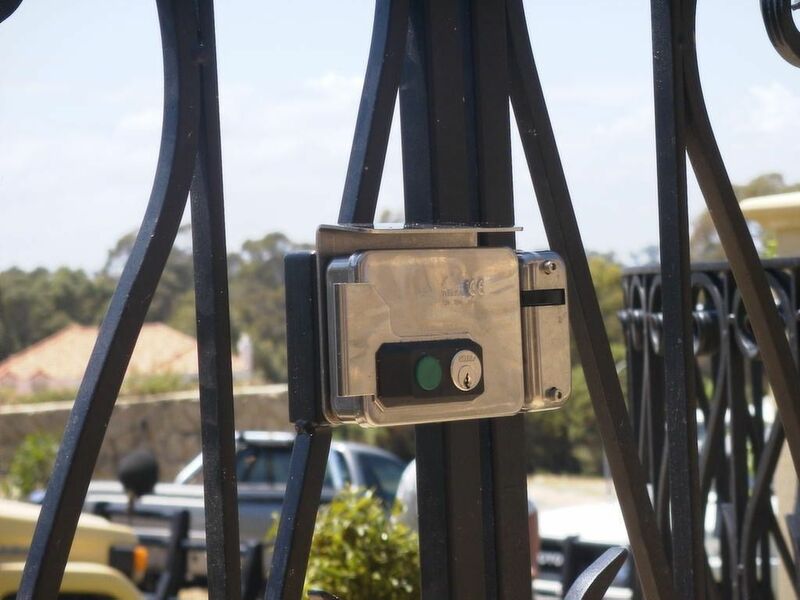 You can also provide a higher level of security simply by installing electric gate locks, motor protection covers & anti vandal covers to your Electric Gate. 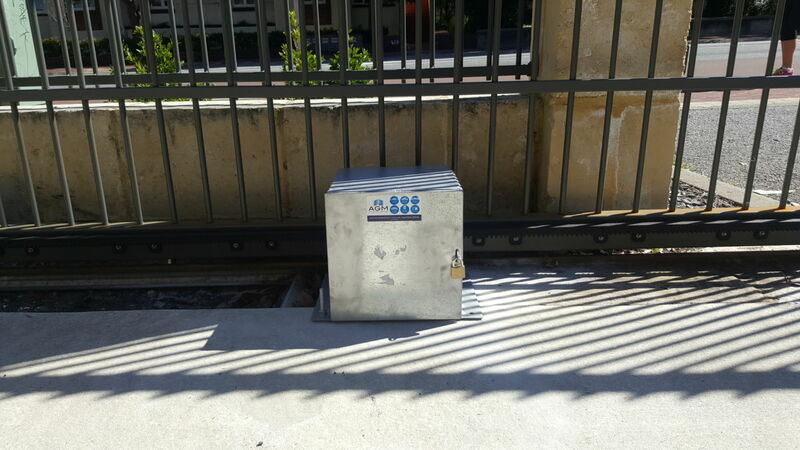 Where as for sliding gates they can be protected by Galvanized motor protection boxes, and manual release locks. See image below. What type of Automatic Electric Gate Accessories are there? Available is a range of high quality, reliable products for all your Automatic Electric Gate requirements. Remotes, Keypads, Intercoms, Swipe Cards, Electric Locks, Safety Beams,Push buttons, In Ground safety loops, In Ground exit or entry loops, Key switches & Solar Panels. We are proud of our quality products from Australia, Europe, South Africa and Asia.